A very powerful full moon tonight in a very clear sky. Very strong moonlight. Got back late from my night class (clinical education – teaching doctors to be teachers if you must know!) and wanted to take a quick look out. Had looked at moon last night and too bright to look for DSOs, so got my trusty 16×60 binoculars out. I wanted to look at Caldwell 41 – the Hyades cluster centred around Aldebaran – a beautiful red star close to Jupiter at the moment. 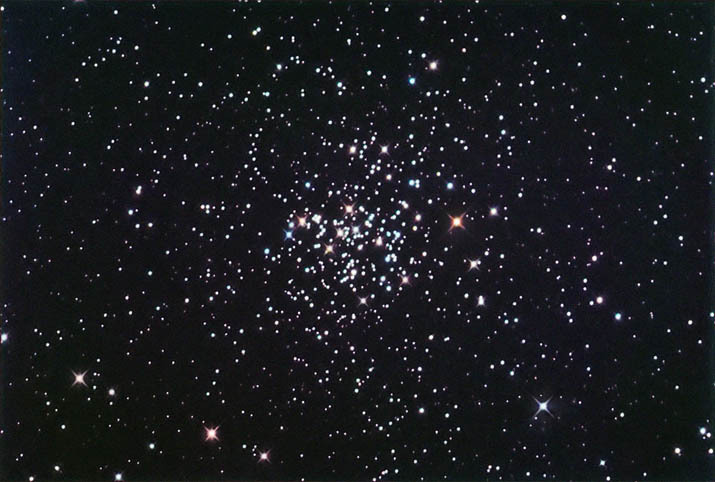 Looking through binoculars at Aldebaran, you can see a cluster of surrounding stars – mostly doubles. Really a very pretty sight – I can see why Sir Patrick (Caldwell) Moore included it in his list of 109 objects. Also had a quick look at the Orion nebula (M42), the Pleiades (M45) and Regulus. Im sorry this is a somewhat random bit of moon. 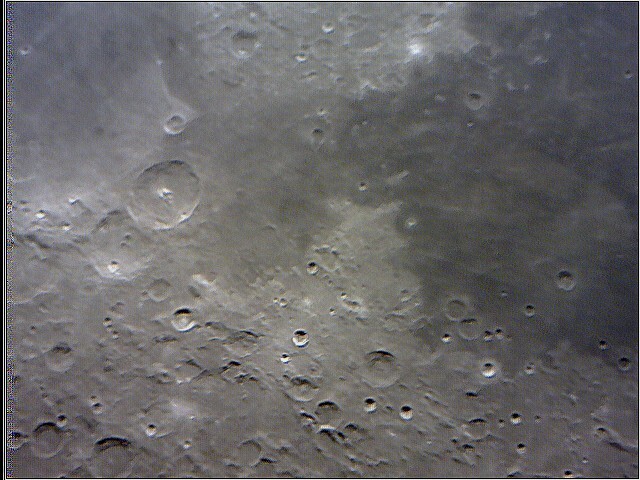 Just trying out a CCD imager. this was originally a video of about 1700 frames. 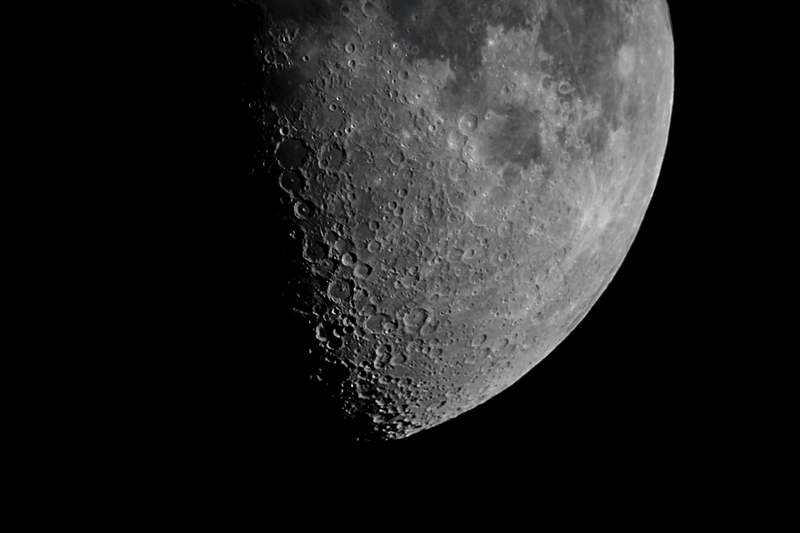 I used Registax 6 to align, stack and sharpen the image. Registax used the best 200 frames out of the stack. I have a list of 6 targets on the Moon to aim for – will post if successful. Also some great visual observations of the full moon tonight – used my TS Optics variable polariser filter to darken down the incredible glare of the full moon through a scope. 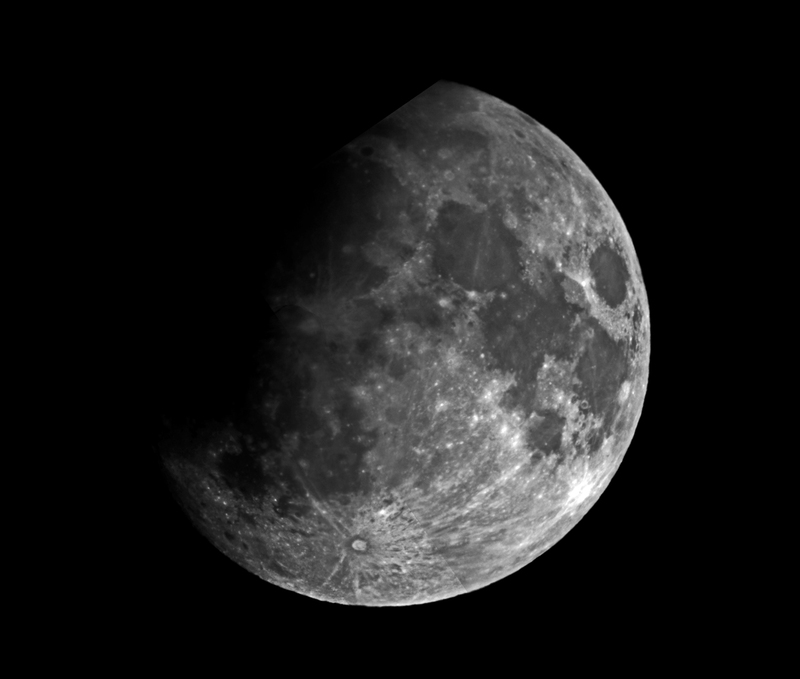 Have to say it worked a treat – much better than the Celestron moon filter. First go at this technique – blending 3 smaller images together in photoshop. Canon 1100d with Celestron Nexstar 8SE. Not perfect but can see how you are meant to do it! Twilight Moon. Canon 1100DSLR @800 ISO. 1/100 second. Camera attached directly to telescopes star diagonal with a T ring and adapter. After cloud all day, it cleared by 11pm so I set up and stayed out until around 0030 when it got windy and cloudy again. I used Capella, Procyon, various Ursa Major stars and Aldebaran as guide stars during the night and saw one shooting star through my scope! I tried a few more Caldwell objects but seemed to have difficulty resolving objects at about Magnitude =10 or less. Whether this was my scope, my night vision or the viewing conditions, I’m not sure. I know that diffuse objects are dimmer than stars of the same magnitude as all the light from an object is counted. From about 10 to 11pm. Oh, and Caldwell 39, Planetary nebula! Then the cloud came and it rained but, Wow!